Sunny days have finally blessed us with their presence and that can only mean one thing- it’s time to break out the sunglasses! The problem is, with so many different styles on the market, how’s a girl supposed to know what kind to pick out? Well have no fear compadres, for this article was written just for you. 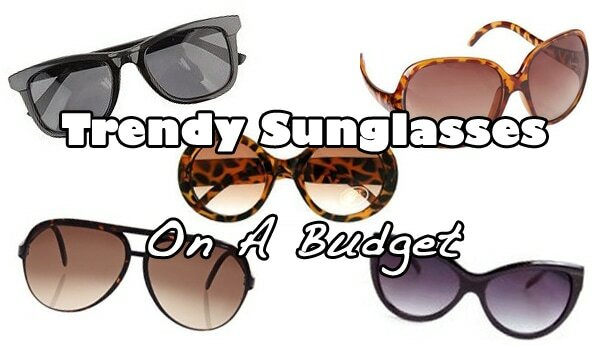 Interested in some hot sunglasses you can actually afford? Read on, my friends! This retro style has been back in for a while now, but have no fear: the Wayfarer trend will still be going strong this season, making this an easy style to track down, whether you are searching online or at the mall. 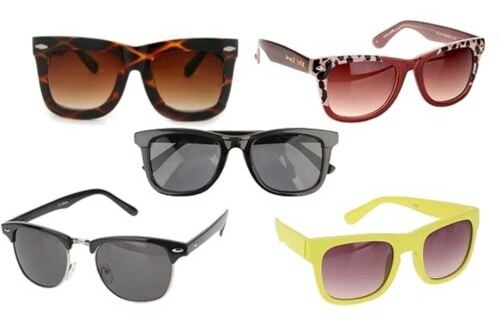 As Wayfarers are very angular, they work with many different face shapes: particularly round or heart-shaped. Whether you choose to rock the classic black ones, some fun cheetah print ones like the ones I found above, or my personal favorite, wire trimmed- you’ll look retro-cool in the summer sun. Or you can just rock them at home while you re-enact risky-business. Whatever, your choice. Cat eye sunglasses are the new “it” sunglasses; everyone from model Dree Hemmingway to Scarlett Johansson has been seen rocking these shades this season- and you can too! You can go two ways with this style: understated or all the way. For you daring types, I recommend these super out-there Alexander Wang-inspired shades in black (seen front and center above). Meanwhile, for the rest of you cool cats, I pulled some equally awesome cat eye sunnies with a more understated vibe to them. This look is great for people with square or long faces as it adds curves to the sharp angles to your face. Whatever way you choose to go with these glasses (understated or Lady Gaga), you’re guaranteed to look retro-cool. Don these babies and you’ll look almost like a cartoon character- but in a good way! 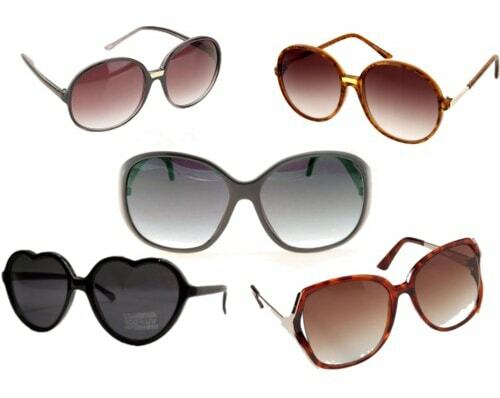 Round sunglasses, though not for everyone, can look very chic on the right person. 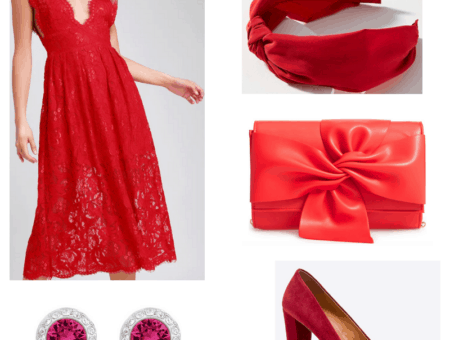 (Jackie O, anyone?) They look best on people with chiseled faces and high cheekbones, so you round faced people should probably steer clear of these as unfortunately, they will just make your face look rounder. 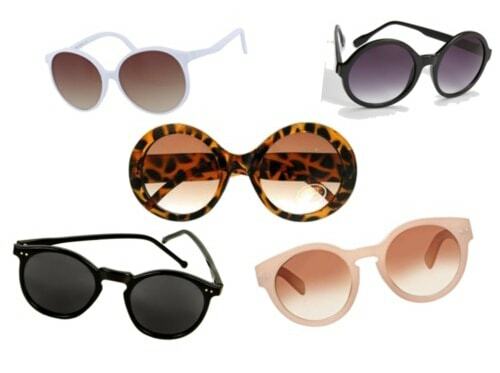 Oversize sunglasses have been in style for a while now, and they remain relentless this season. Great for hiding your makeup-less face, these babies give you some serious coverage and work best on people with oblong or narrow faces. A classy chic choice, these sunglasses will keep the sun off your face all season. Finally, last but certainly not least, we have the forever-cool aviator sunglasses. Known for their cameo role in Top Gun, these glasses are great for people with long jaws and angular faces. You can go a bunch of different ways with these as there are a few different styles out there right now. There are the classic all-wire frames, the more modern plastic frames, and now there are the more urban “hole-free” aviators. 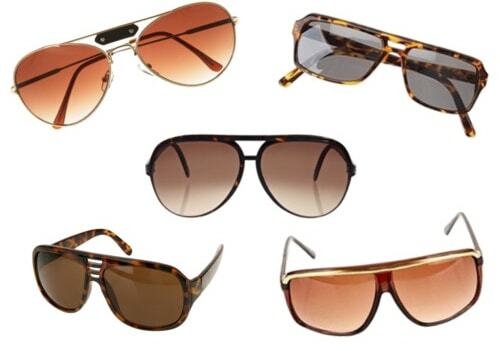 Whatever style aviators you choose, it’s a sure thing you’ll look too cool for school in them (it is summer after all). Stick to the Cheap Ones. There’s a time and place to splurge on sunglasses: when they’re classic, will never go out of style, or just look great on you. 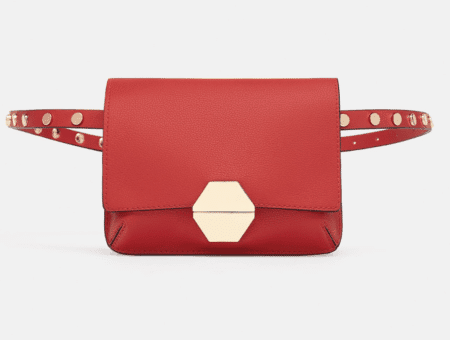 Trends come and go, and unless you’re positive that the style you want is going to stay in for a while (or just don’t care), it’s best to stick to the lower end of the pricing spectrum. Purchase wisely and ask yourself “Am I going to want to wear these next year?” If you answer no, then look for a cheap alternative online or at trendy stores like Forever 21 or Target. You don’t want to get stuck with another pair of Shutter Shades do you? Yeah, didn’t think so. If You Can, Try Before You Buy. It’s so easy to pop online and buy a pair of sunglasses willy nilly (they’re cheap! ), but sometimes you can be setting yourself up for some serious buyer’s remorse. The glasses you ordered may turn out to be smaller than you thought, not the right color, or might just look all wrong on your face. And I don’t know about you, but those “guides to your face shape” articles online seriously confuse the bajeezus of of me. I have no idea if I am a heart shape a round shape or an oblong shape, and regardless, pairs of sunglasses that were supposedly “all wrong” for me have turned out to look great. You just never know with shades. If you find a pair of sunglasses online and are convinced they’re your perfect summer shades, I recommend trying on a similar style pair in a store first. That way, you know what you’re in for and you don’t have to second guess yourself. Flea Markets and Thrift Stores are Your BFFs. I love perusing the mall as much as the next girl, but sometimes it’s even more fun to find sunglasses in unlikely places. Thrift stores and flea markets are notorious for having great sunglasses for super cheap (I’ve bought at least 5 pairs for 2 dollars each) and they’re almost always good quality since they’re often vintage. Instead of popping over to Urban Outfitters, try visiting your local thrift store or community flea market! Plus, how cool will you feel when you tell your friends that you got these “at a flea market for 3 bucks”- oh yeah, too cool. 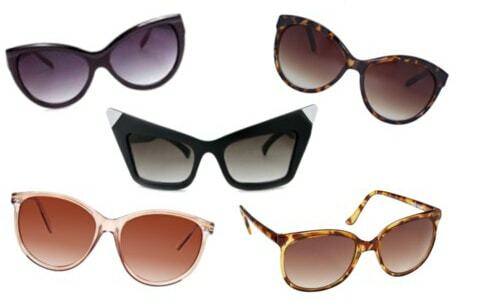 What are your favorite styles of sunglasses this season? Where are you going to buy your sunglasses from? Did this article help you out at all? Where are you looking forward to doing while wearing your sunglasses? Whatever your thoughts, let me know in the comments!